Un-Cruise Adventures plans to christen its new Safari Voyager on Dec. 20 in San José del Cabo in Baja, Mexico. 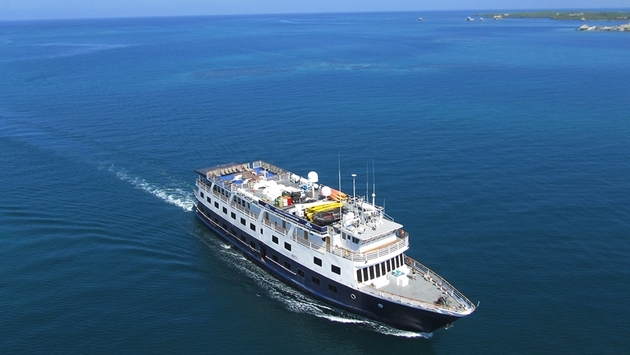 The 64-guest Safari Voyager, the former Sea Voyager, will sail year-round adventures in Mexico’s Sea of Cortés. Among those expected to attend are Capt. Dan Blanchard, principal and CEO, and Tim Jacox, executive vice president of sales and marketing. After Un-Cruise acquired the ship in March, it underwent an extensive renovation. The vessel has four public decks, a window-lined lounge, a dining room and library. The 33 staterooms — including two single cabins and some triples — have large windows, individually controlled air conditioning, a private bath with shower and iPod docking stations. Seattle-based Un-Cruise Adventures specializes in small-ship explorations focusing on nature, culture, wildlife and history in Alaska, Hawaii, Sea of Cortés, Columbia and Snake rivers, and coastal Washington and British Columbia.